NASA astronaut Serena Auñón-Chancellor works with plants grown onboard the International Space Station. For the first time, a plant sprouted on the moon! As part of China’s Chang’e-4 mission, which landed on the far side of the moon on January 3, scientists aimed to study plant growth in the low-gravity, high-radiation, extreme-temperature environment of the lunar surface using a small self-sustaining canister called a biosphere. Unfortunately, however, the sprouted cotton plants did not survive long with the extreme dip in temperature during the lunar night. Studying plant growth in space has important implications for future long-duration spaceflight missions and possible human colonies on Mars, other planets, or other moons. But it also provides valuable information about plant growth back on Earth. 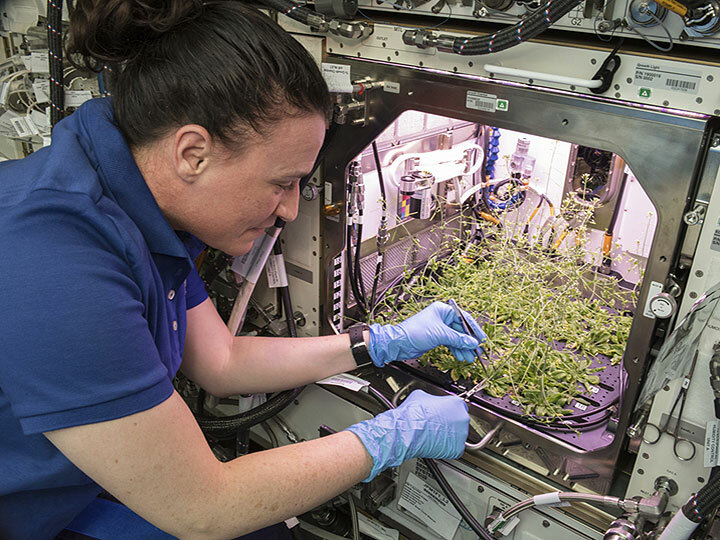 Anna-Lisa Paul, a horticultural scientist at the University of Florida, Gainesville (who provides her perspective on the Chang’e-4 mission in this recent Nature article), is conducting research on the ISS National Lab that supports a better understanding of both how to grow plants in space and how to improve plant growth on Earth. Paul and her research team are using the microgravity environment on the ISS National Lab to examine gravity’s effects on the way roots orient themselves downward. Such space-based studies provide valuable information about plant structure and behavior that enables a better understanding of how plant processes work on the ground and how plants respond to novel or stressful environments. 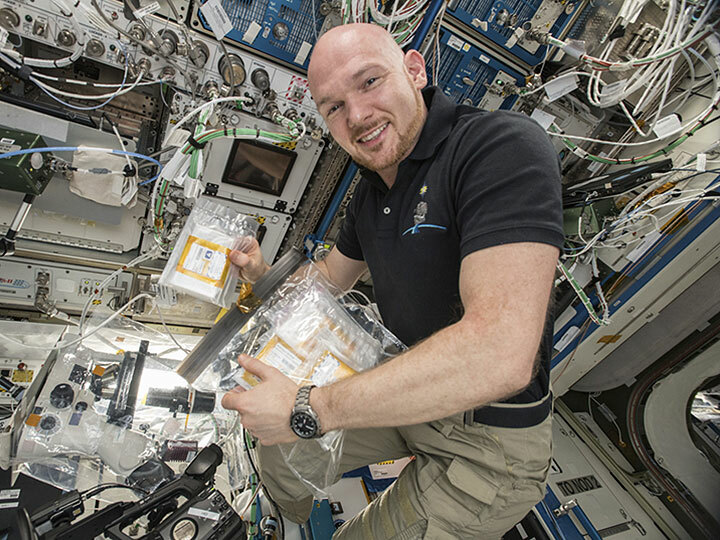 Read about Paul’s ISS National Lab research in the Upward feature “Staying True to Your Roots: Plants on the ISS,” and learn more about some of the ways the ISS National Lab is being leveraged for important plant research in the related resources listed below.